Having used several DSLRs and mirrorless cameras, I can say Pentax K-01 is a great camera- one of the best image quality out then in below $1000 cameras. Pentax used to sell for around $900 but their gamble with the style backfired so they are clearing them out. They currently sell for around $400 with a nice 40mm 2.8 lens. Similarly, Canon was too late to enter the mirrorless camera world. They came in with Canon EOS-M with full APS-C sized sensor and started selling it for around $700. 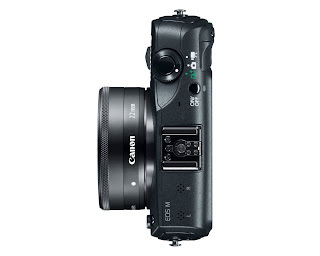 They put the fastest kit lens on this EOS-M camera compared to lens on any sub $1000 canon SLR. It comes with 22mm F2.0 lens!! 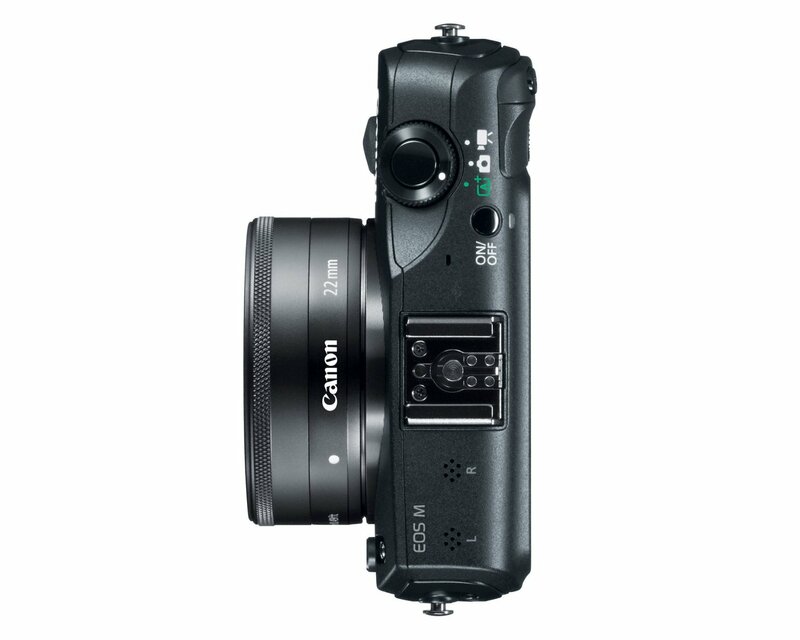 This camera has same sensor and technology as Canon T4i but in much smaller body. This actually works very well for shooting HD video than most consumer Canon DSLRs. As of this writing (July 5, 2013), Amazon is selling Canon EOS-M for $299!!! Really a steal if you are buying it for less than $400. Let me tell you one major problem though! It does not come with flash! This can be a deal breaker for many and that is why I think Pentax K-01 can be a better deal for most of us. Very shortly, both cameras are likely to be selling for around $500 or more. If that is the case, look for Used cameras too. Under $350, each of these cameras are great deals IMO. 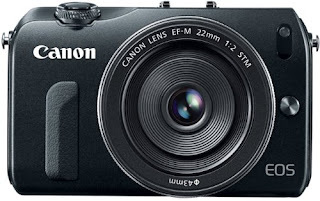 Check Canon EOS-M prices on Amazon. Click on the link above and read the reviews yourself. Or see the summary here. Lack of optical viewfinder- if you actively use viewfinder, this camera is not for you. LCD works fine for shooting but once in a while, in some bright sunlight, you will miss a viewfinder. Orthodox style of Pentax k-01- see if you like the style. It is not bad as such. I see this style as an advantage. Most of my subjects don't take me seriously with this camera in my hand. They think this is a toy or some fun camera and I get candid photos. When I used to shoot with black bulky SLRs, mostly my subjects will become too serious or too conscious. Flashy Yellow color- it is a bright nice color but if you don't like it, it comes in black and white color too. Slow Auto-focus. Out of the box, the camera's AF system is slow but with firmware upgrade, it is comparable to most DSLRs. Howeve in plain contrast-less situations, like many other DSLRs, this one still struggles with AF. I immediately change to Manual focus mode and with focus peaking and Auto-zoom of the image on my screen, my workaround works very well. The image quality is excellent. I have not seen such good image quality in any camera I have used so far which includes Canon T3i and Panasonic/Olymplus mirrorless m4/3 cameras. With included 40mm lens, you can take impressive portraits and low light photos. If you like to take photos of people, this lens works out very well. In consumer grade DSLRs, Pentax K-01 has the best lens out there. Period. If you like to take landscapes, the HDR mode does wonders. Easy to use and brings in details in shadows and highlight does not get clipped either. With same K mount, in body Image Stabilization, and now Focus Peaking, using my Super Takumar 50mm 1.4 lens is easy and it helps get accurate focusing. K-01 body and Super Takumar lens (with combined cost of less than $400) help me take portrait photos that can compare very well with full frame $2000 plus DSLRs. Takes HD Video but use Super Takumar above in manual mode with wide aperture for video and you will love the quality and background blurr in videos. This camera is compact and its odd look lets you take candid photos of people. Bulky SLRs many times make people too serious while being photographed but with box type camera, your subjects are less likely to take you seriously but when you show them the photos, they will be amazed. Very likely, in 10 years, this camera will sell for more than what you are paying today. This is my humble opinion and don't base your purchase decision on it. how about sony nex 3N? 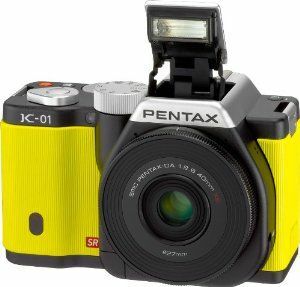 should I buy this or Pentax K 01?